St. John Valley weather forecast for Monday, Nov. 28 through Sunday, Dec. 4, 2016. ST. JOHN VALLEY — High pressure will control the region’s weather Monday into Tuesday with partly cloudy skies and frigid temperatures Monday night. Clouds increase Tuesday as a low pressure moves towards New England from the Midwest/Great Lakes with snow expected Tuesday evening into the overnight period. Snow showers are expected Wednesday under mostly cloudy skies. Another area of low pressure will move through the region Thursday with snow/snow showers along with a chance for some rain showers mixing in during the afternoon period. An upper-level low drifting east will keep unsettled conditions across the Valley for the weekend with snow showers expected to persist Friday through early Sunday with overcast to mostly cloudy skies across the SJV. Partly cloudy and cold with northwest wind around 10 mph subsiding to 0-5 mph overnight. Increasing clouds with a 60 percent chance for snow with 2-4 inches of snow accumulation possible (between one-tenth to one-twentieth inch liquid). Overnight, an 80 percent chance for snow tapering to snow showers by early Wednesday with 3-5 inches of snow accumulation possible (around one-quarter inch liquid). Southeast wind 5-10 mph. Mostly cloudy with a 40 percent chance for snow showers and maybe some rain showers mixing in in the early afternoon with less than one-tenth inch precipitation expected. Increasing clouds in the evening with an 80 percent chance for snow showers overnight becoming a steadier snow early Thursday with 3-5 inches accumulation possible overnight. Overcast with a 70 percent chance for snow and snow showers with accumulations 4-6 inches +/- possible depending on the storm system track and strength. Some rain showers possibly mixing in during the afternoon/early evening. Overnight, a 50 percent chance for snow showers. East wind 8-14 mph becomes northerly and diminishes overnight. Overcast with a 30 percent chance for snow showers. Light north to northeast wind. Overcast early then mostly cloudy with a 30 percent chance for snow showers diminishing to a 20 percent chance overnight. Light north wind becomes westerly. Mostly cloudy with clearing skies in the evening with a 10 percent chance for snow showers. Light west wind. Note: Computer model precision diminishes the further into the week the forecast projects. 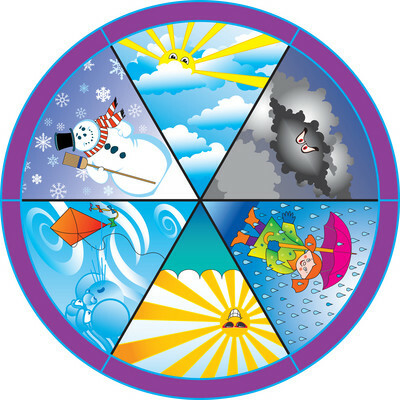 Check the Fiddlehead Focus Facebook page for weather updates with more current information.